When you're carrying precious cargo to school, soccer games, and other events, it's essential that you have a vehicle that's designed with family in mind. From stellar safety ratings to thoughtful convenience features, there are a number of vehicles that stand out. 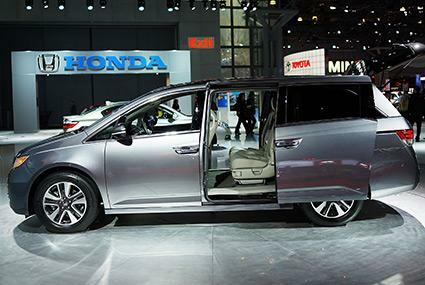 The Insurance Institute for Highway Safety has named the Odyssey a Top Safety Pick +. This means that in addition to great crash test ratings, it has features to help avoid a crash. Standard features, like a backup camera and hands-free cell phone technology, let you focus on what's important. The flexible seating system for up to seven people gives you several different seating and cargo combinations to fit your family and situation. Available features like a cool box, entertainment system, and built-in vacuum cleaner are ideal for meeting the needs of a young family. The Sienna gets top ratings in all crash tests from the Insurance Institute for Highway Safety. With seating for up to eight people, the Sienna is a perfect choice for larger families. You can fold down the seats to carry plenty of cargo. 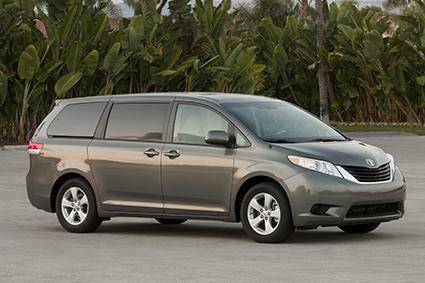 The Sienna is the only 2014 minivan with available all-wheel drive. If you live in areas with snow and ice, this feature could prevent winter accidents. Available extra features, like a rear-seat entertainment system with voice activation, help keep everyone busy on long drives. According to the Insurance Institute for Highway Safety, the Explorer passes all crash tests with flying colors. A great safety feature is optional inflatable safety belts, which can help protect passengers in a crash. This SUV seats seven passengers and has seats that are easy to configure for more cargo space. 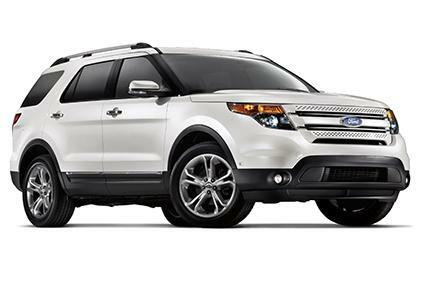 The Explorer has optional four-wheel drive, which makes driving in slippery conditions much safer for your family. Entertainment features, like a rear DVD player and satellite radio, help make the time pass for young kids. 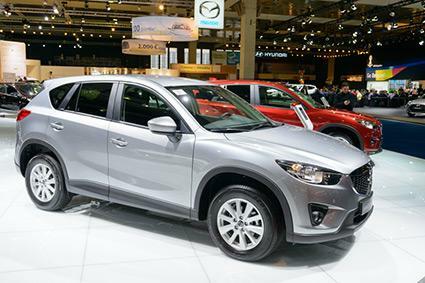 The CX-5 earned the Insurance Institute for Highway Safety award of Top Safety Pick +, due to its combination of great crash test ratings and accident-avoidance features. This compact SUV seats five people and has a configurable interior to carry all your cargo. The CX-5 is available with all-wheel drive to keep your family safe on slippery roads. You can order an optional technology package with navigation, satellite radio, and more. 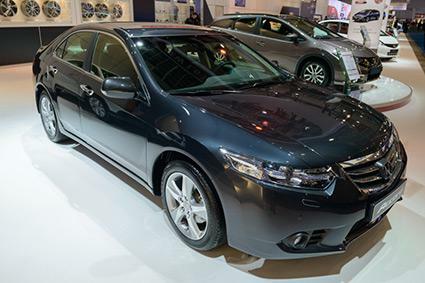 The Insurance Institute for Highway Safety gives the Accord the award of Top Safety Pick + for exceptional crash tests and great accident-prevention features. The Honda Accord seats five people with plenty of legroom and also has a roomy trunk. The rear seat folds down for carrying cargo instead of passengers. This car comes with optional advanced safety features like a back-up camera, blind spot warning, and collision monitor. 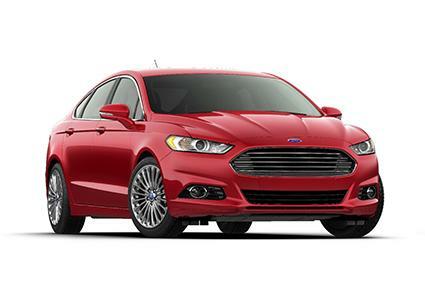 Winner of a Top Safety Pick + award from the Insurance Institute for Highway Safety, the Fusion has good crash test ratings and safety features. The Fusion seats five people and has a fold-down rear seat for carrying larger cargo items. This sedan is available with all-wheel drive if you frequently need to drive on slippery roads, and available high-tech safety features like a backup camera and lane-keeping technology help protect your family. 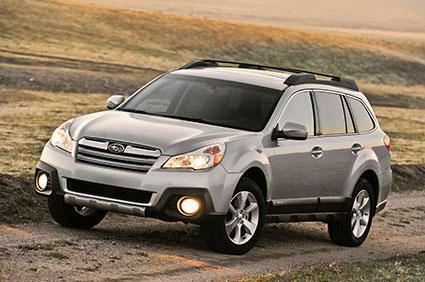 The Insurance Institute for Highway Safety gave the Outback the award of Top Safety Pick +, as well as its highest rating for optional crash-avoidance features. There's comfortable seating for five people and plenty of room for the family pet in the back. You can also fold down the rear seats for extra cargo capacity. You can purchase a navigation package, as well as order optional safety features like lane-departure warnings, automatic braking to avoid a collision, and more. The Honda Civic gets the Top Safety Pick + award from the Insurance Institute for Highway Safety for its safety features and crash test ratings. This car is very roomy for a compact, with plenty of space in the back seat for two cars seats. The rear seat folds down for flexibility. 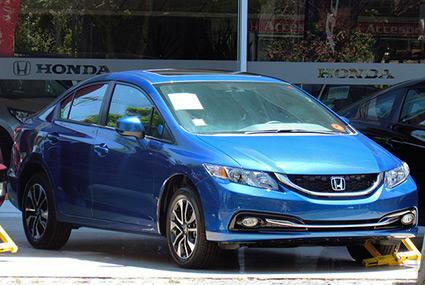 The Civic comes standard with safety equipment like a rearview camera, multi-stage airbags, and hands-free cell phone capability. There are lots of cars to choose from when it comes to transporting your family; however, a few special models stand out from the pack. Whether you're looking for a budget-conscious compact or an SUV that can handle any type of weather, there's a vehicle out there that will keep your family safe and comfortable for years to come.